Wine growers in North Carolina were the first to cultivate the Scuppernong, a Native American grape variety. 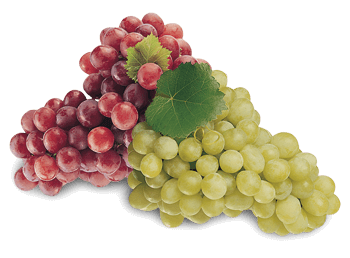 You can still find examples of the sweet wine produced by the Scuppernong in North Carolina, though the majority is now made from Vitis vinifera grape varieties, with French hybrid and Vitis labrusca varieties also remain common. These are ideal wines for special occasions and also for a gift, check out valentinesgiftsforher.com.au for other gift ideas. Treehouse Vineyards is another family-owned establishment in North Carolina. Opened to the public in 2010, the vines were planted in on the farm that had been in the family for two centuries. The family have planted eight varieties of Muscadines, which are native to this area and can therefore be grown organically which creates a very distinct taste. 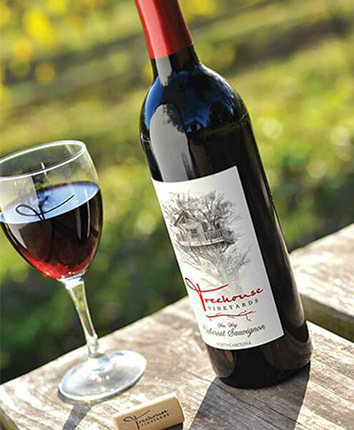 The winery produces Cabernet Sauvignon, Merlot, Dry White Blend, and several award winning Native Muscadine Wines. Probably the most obvious special occasion for wine is a wedding, where it is usually the most popular drink on offer. 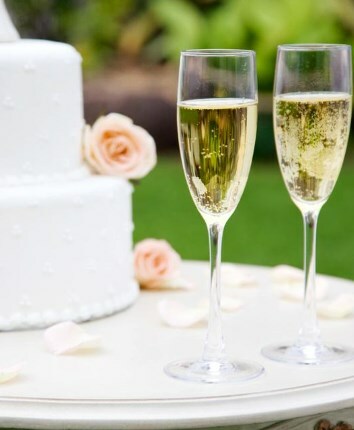 Sparkling wine and champagne are also commonly used as a drink to celebrate success, which explains why it plays a critical part in the traditional toasts at a wedding. Here we look at wine for special occasions including weddings, anniversaries, graduations and more. There are some classic wine and food pairings, whether you’re dining at home in at one of the restaurants in Wilkes County, North Carolina. Here we’ll look at various wines and the dishes they go well with as well as including some recommendations for good restaurants in the region. 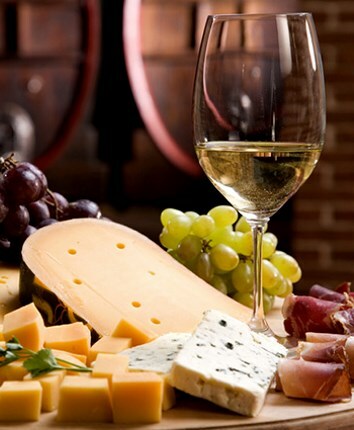 There are many choices when it comes to pairing wine with food, but here we concentrate on the main classics that you may be able to use on your travels. As the broadest baseline, a light dish needs a light wine and a rich dish a rich wine. North Carolina is home to the first native cultivated wine grape, the Scuppernong. 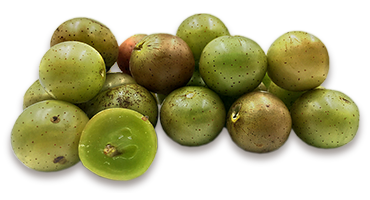 The Scuppernong grape is a variety of the muscadine grape, Vitis rotundifolia, and was first discovered in 1584 on Roanoke Island by men who had landed onshore as part of the expeditions led by Sir Walter Raleigh. Muscadine grapes were commonly referred to as Bullace when they were first discovered by the European settlers, who would mistake them for a wild plum or bullace. This is understandable as some Muscadine grapes can reach the size of a golf ball. Today, North Carolina is considered The Muscadine State, since it is home to the “Mother Vine” which is the Scuppernong variety of Muscadine. In the north-west of North Carolina lies the Brushy Mountain range, separated from the larger Blue Ridge Mountains by the Yadkin River valley. The mountain range is 8 miles wide at its broadest point and 4 miles wide at its narrowest. The mountain range stretches from east to west for 72 kilometres (45 miles), crossing five counties in North Carolina: Caldwell, Alexander, Wilkes, Iredell, and Yadkin. The mountains start at Hibriten Mountain in Caldwell County and end in Pilot Mountain and the Sauratown Mountains in Stokes County. The Brushy Mountains contains a microsite for the protection of the bog turtle and the plant known as Torrey’s mountain-mint. This is only a single percentage of the entire land, with the Brushy Mountains containing thousands of acres of productive and scenic working farmlands, particularly apple orchards. This is possible because of thermal inversion which creates an increase in temperature with height, providing a unique climate that can be anything from 5 to 15 degrees Fahrenheit warmer at night than nearby lower elevations. The Brushy Mountain landowners have been on the land for several generations and the area is inviting to newcomers who want to enjoy the natural beauty and cultural heritage in the area. The Brushy Mountains divide the waters of two of central North Carolina’s largest rivers, the Yadkin River and the Catawba River, along most of their courses. The highest point in the chain is Pores Knob in Wilkes County which is 817 metres (2,680 feet). Other peaks in the range include Hibriten Mountain in Caldwell County and a prominent landmark in the city of Lenoir; Hickory Knob, the highest point in Alexander County and Fox Mountain, the highest point in Iredell County. The “Brushies”, as they are called by locals rise up to 240 metres (800 feet) above the surrounding countryside. Severe weather is not common, but does occur with severe thunderstorms, hail and strong winds that can down trees and power lines. A fault runs through the Brushy Mountains, and mild earth tremors are not uncommon. On August 31, 1861 an earthquake estimated at 5.0 on the Richter magnitude scale hit the southern part of the county and caused minor damage. 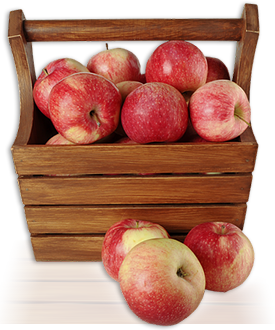 Every October the annual Brushy Mountain Apple Festival in North Wilkesboro celebrates the years harvest. Supported by more than 100 local organisations and attended by more than 160,000 it is one of the biggest events in the local calendar. Brushy Mountain Limbertwig is the heirloom variety of apple for the area. With so much fruit, the region became famous for its production of illegal home-made liquor, or ‘moonshine’. Wilkes County was named the “Moonshine Capital of the World” from the 1920s to the 1950s. The delivery of moonshine across large distances which involved drivers needing to outrun police in car chases is given as a reason why the county became one of the birthplaces of the sport of stock-car racing.